The impetus for this new recording began in spring 2012 when Elliot Goldenthall was invited by FMF Krakow in Poland to a huge concert in his honour. The festival commissioned symphonic treatments of his film music for 'Interview with a Vampire', 'Frida', 'Titus' and 'Alien 3'. The concert was a huge success and even boasted the attendance of one Krzysztof Penderecki. 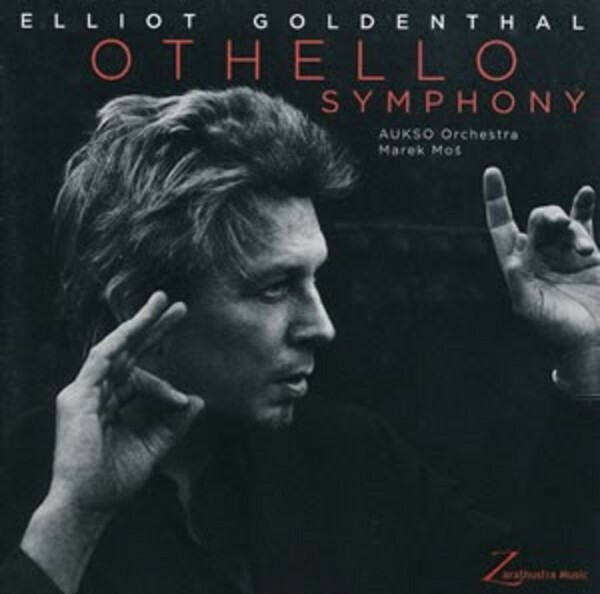 Going through this process of reworking the music for symphonic presentation prompted Goldenthal to take the opportunity to execute the changes he had long wanted to make on 'Othello'. So in the summer of 2013, this world premiere recording of the Othello Symphony was made at the Alvernia Studios in Krakow with the Ausko Orchestra conducted by Marek Moś.